Not by might, not by power, but by My Spirit! I saw in the Spirit, that many believers are afraid to answer their doorbell, afraid to look at their mail and afraid to answer the telephone. The devil has been working overtime to cause you to fear and dread his numerous bad reports. But I hear the Father saying that He is sending His own heavenly messengers with tidings of great joy. Those feelings of dread shall be turned into shouts of victory. “For what does the enemy have in you, My Child? He has NOTHING in you. As I AM, so are you in this world. When the enemy comes in, like a FLOOD, I AM raising up a standard against him. No longer shall you sit in fear, Beloved. I have drawn a line in the sand. You overcome by the Blood of the Lamb and the Word of your testimony. You shall fear no man or demon. Your Redeemer comes like a pent up flood, which the Breath of your LORD drives. You shall experience amazing and SUPERNATURAL deliverances. Like a mighty torrent, My Spirit shall swallow up every evil plan of the enemy. My justice shall roll on like a river, and My Righteousness like a never-failing stream. So do not be shaken, My Love. 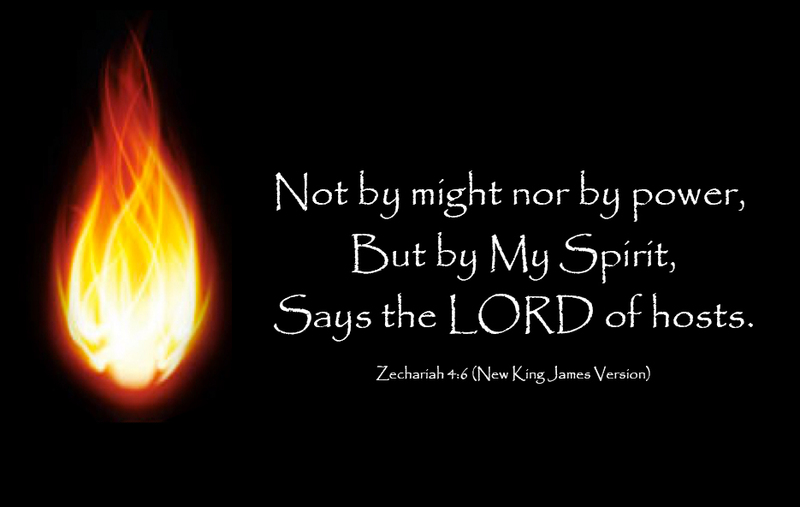 Not by might, not by power, but by My Spirit,” says the LORD of Hosts. “But let Justice roll on like a river, Righteousness like a never-failing stream!” Amos 5:24. “Then you would have had peace flowing like a gentle river and righteousness rolling over you like waves in the sea,” Isaiah 48:18. “So shall they fear the name of the LORD from the west and His glory from the rising of the sun. When the enemy shall come in, like a flood, the Spirit of the LORD shall lift up a standard against him,” Isaiah 59:19. “From the west, people will be in awe and fear at the Name of the LORD, and from the rising of the sun, they will revere His glory. For He will come like a pent-up flood that the breath of the LORD drives. [overcoming the enemy],” Isaiah 59:19. “In the west they will fear the name of Adonai, and likewise, in the east, His glory. For He will come like a pent-up stream, impelled by the Spirit of Adonai,” Isaiah 59:19. “Then people from the west will fear the [ name of the] LORD, and people from the east [rising of the sun] will fear His glory. The LORD [ For He] will come quickly like a fast-flowing [or pent up] river, driven by the breath [or wind; or Spirit] of the LORD,” Isaiah 59:19. He is Faithful . 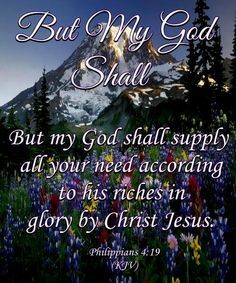 . .
Look to Jesus for all your needs beloved . . .
Look to Me for All Things, says The LORD, for I AM your complete source in everything. I will lead and guide you continually as you silence the illegitimate and negative voices that are vying for your attention and place your focus on Me and My WORD, says the LORD. For there are many voices in the earth, and you must learn to still them and even deny your own thoughts and feelings and align yourself with My still, small voice on the inside so that you will have MY directives for your life. Come away, into the secret place and learn of Me and My goodness and mercy for you. Trust in Me at all times, and wait patiently upon Me and I will give you the desires of your heart. I will do the leading and you are to simply follow Me as an obedient, dependent, trusting child of My Love. For I AM always with you, and know all that you have need of and know the path that you take, says the LORD. There is nothing insignificant about you and nothing unimportant to ME. I have created you for purpose, and I have kept you day and night in the past and provisioned you. I will never stop! Will you trust and believe that I have you in My hands? My hands have created you; My hands protect you and hold you and provide for you, and envelop you. I will not withhold any good thing from you and have given to you unimpeachable gifts and a calling that will not be extracted from you. Pray and believe that My will shall be done in you as it is in heaven. Believe that your times are in My hands. I AM preparing you for the place that I AM preparing for you, and will align you with all that you need to fulfill every good purpose that I have for you under the sun, says the LORD. I AM an on-time, on-task GOD, your GOD, your friend, and your Savoir and LORD. I do all things well and I do all things well for you. Your times and seasons are in My control and I will set the pace. TRUST AND OBEY, for I will surely order your steps and provision every one of them as I set the pace and set everything and everyone around you in order, that your destiny in ME and My kingdom shall be done in you, and you will be blessed to be a blessing, says the LORD.